A mod rocket called Can1bus Fuel. Built with 96 of the finest parts, its root part is probeStackLarge. 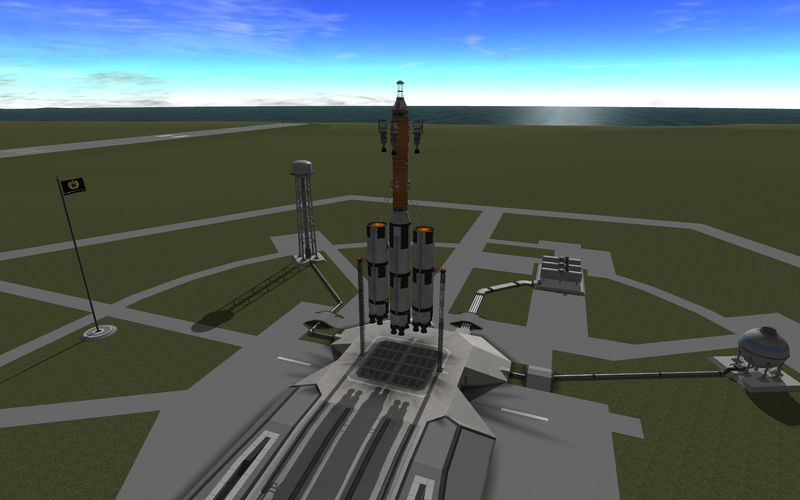 Built in the VAB in KSP version 0.25.0. Takes 2 full orange fuel tanks to 100km orbit. Batteries included. Costs $359,599 on the pad.